So I'm back for the next story from Japan. We were a gang of 6 girls, naturally, with only 1 bathroom in our AirBnB apartment, we each had our fair share of waiting before we could actually sleep after a long day. Yep— no longer alone and living the huge space when everyone arrived. 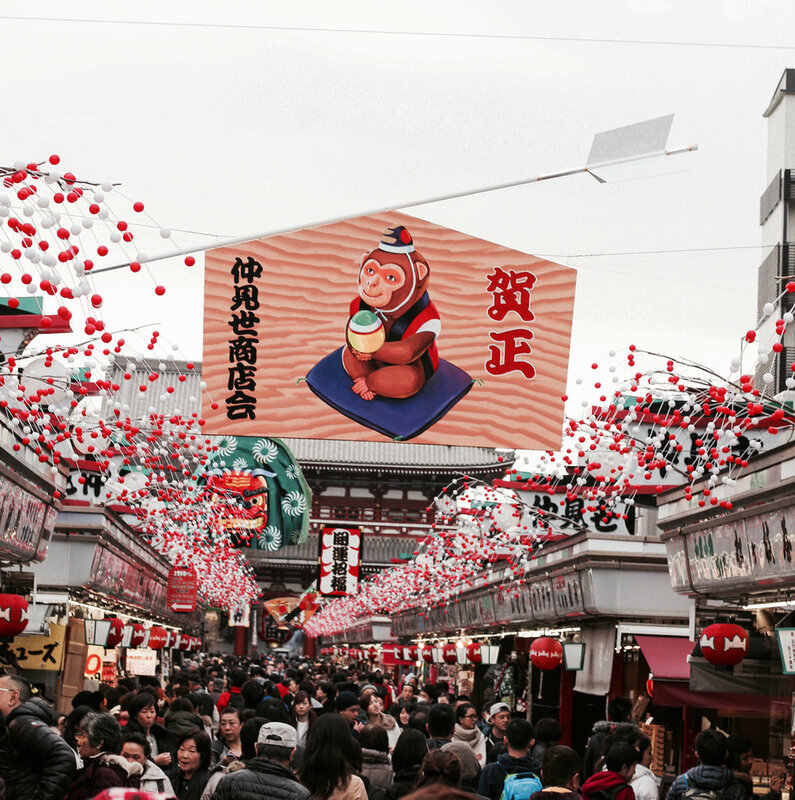 Another interesting place I went to was the Asakusa district, Sensouji Temple. First thing out of the subway was to look for food. It was during the time whereby people were dying from eating raw fish in the headlines non stop in Singapore, and so— I had to make a deal with my over-nagging granny and mom about promising not to eat anything raw (which I regretted so much). Thus, obviously, those yummeh fishies weren't for me. While the weather wasn't exactly sunny, there were lots of people. We took our time walking around, touching every corner. 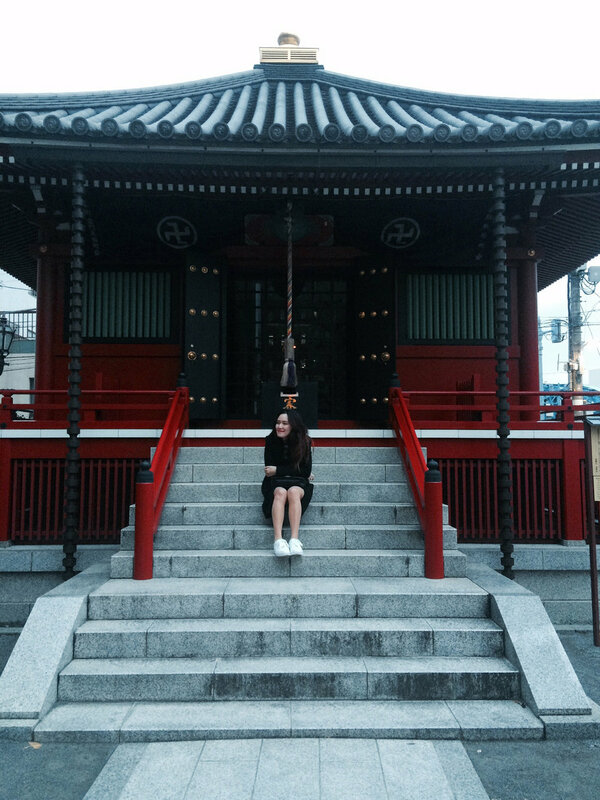 One does not wander into the Sensouji Temple without a word of prayer. 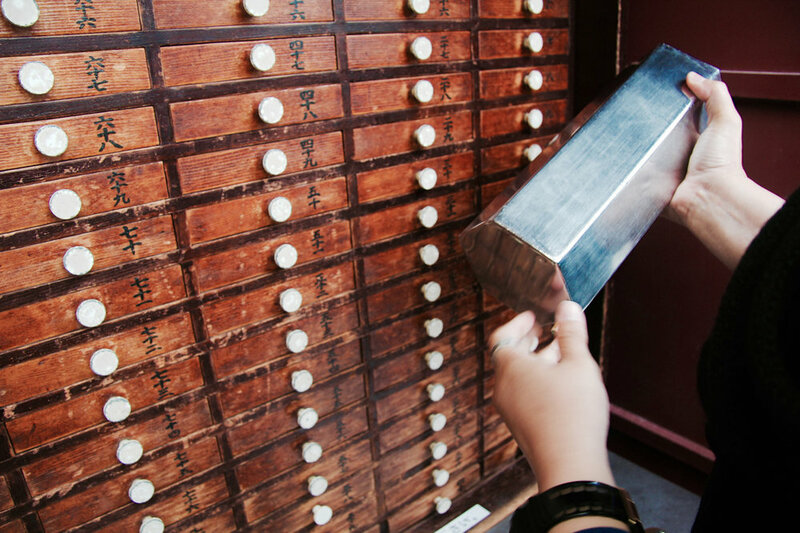 We followed most of the tourists, remixing our very own shaker beats getting our fortune told. Scenario 1 — If your prediction is positive, you're supposed to burn the paper with a word of prayer and thanks in the big well in the middle on the temple. Scenario 2 — If your prediction is negative, then you gotta tie it up. 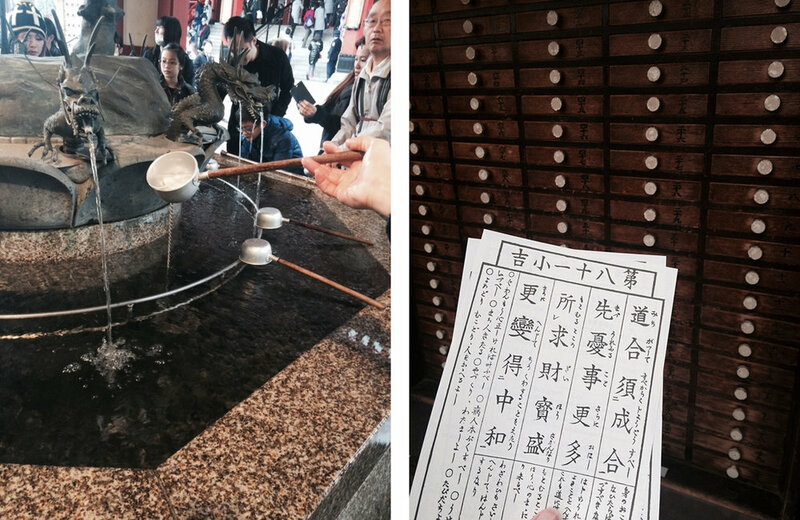 If you have any wishes, pop by the Sensouji Temple! Maybe it was pure coincidence or what not, my prediction was rather accurate. I remembered a phrase on my paper saying "What was lost would be returned..." something along those lines. On my last day in Tokyo, I actually lost my iPhone— which I got it back. Long story short, someone took my phone when I carelessly left it on a McDonald table, the cleaner took it. He only decided to return it to me when he saw me trying to track my phone from my iPad, claiming that he found it in the bin. Where he dug it in front of me. Dang— you kidding me, if you found it in the bin, why was my phone switched off plus a screenshot of my homescreen, duh. Back on the story, we wandered around the district for quite some time, until the sunset... There were plenty of trinket shops and street food. OHMAGAWD, the fried mochi is the best thing ever. Simply recalling the taste of it makes me droool. And and and, all those amazing food packaging on their snacks. I do feel a little sad that I didn't manage to taste some. But I've gotta say, Tokyo Banana is a little overrated. Basically, I didn't eat enough in Tokyo even if I brought back 3 kilograms of fat after 3 weeks!